Had your head in the sand? Here’s our overview of April’s biggest health headlines. The fight to wipe out polio worldwide may soon be won, according WHO. 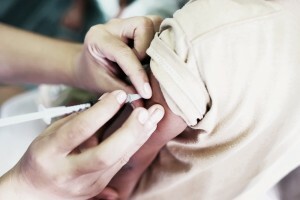 Incidence of the virus, which affected 150 countries in 1988, has declined dramatically with only two cases reported so far this year worldwide. WHO predicts polio could be completely eradicated within the next 12 months, which would mark an historical achievement in medicine, second only to eradication of the smallpox in 1980. Polio can cause temporary or permanent paralysis and has no actual cure – incidences have been driven down due to global administration of a preventative polio vaccine. If achieved, eradication of polio will lend further weight to the scientific argument in favour of large-scale vaccination and immunisation programmes. 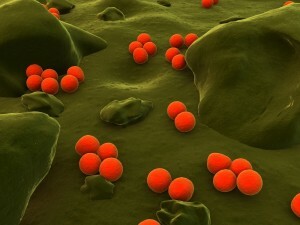 Public Health England has raised a nationwide alert in response to the increasing spread of a drug-resistant strain of ‘super gonorrhoea’. First identified in Leeds, the strain has most recently spread to London, Southern England, and the West Midlands, with 15 new cases being reported in March alone. Although the number of cases may seem rather insignificant, the greater implication is extremely concerning, since gonorrhoea may become untreatable unless the new strain is quickly suppressed. Gonorrhoea is the second most common sexually transmitted infection (STI) in the UK, and can have serious health consequences if left untreated. These include pelvic inflammatory disorder (PID) and ovarian abscesses in women, and infertility for both sexes. Until now, gonorrhoea has been effectively treated using a combination of two antibiotics (azithromycin and ceftriaxone), but treatment options beyond this are limited. See our doctors’ article on gonorrhoea for more information on symptoms and testing. Junior doctors have taken historic industrial action this month, staging two 48-hour strikes and withdrawing emergency support services in the first ever full walkout. Junior doctors working in life-or-death care units such as A&E and intensive care have previously been exempt, and their participation in the latest strike has been heavily criticised. 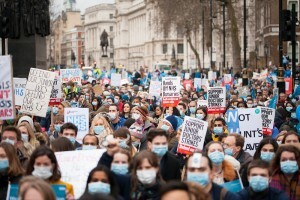 Despite concern over continued public support, the latest strikes have continued to draw on creative strategies to broadcast their message, from ‘die-ins’ outside the Department of Health, to street performances from the NHS choir, and celebrity endorsement of the Green Wing cast. Larry Sanders, the brother of presidential hopeful Bernie Sanders, also weighed in to support for the ‘heroes in the fight for a public NHS’. The government and healthcare managers have added their two cents on the political stalemate. The Department of Health has labelled strike action ‘irresponsible and disproportionate’ and NHS medical director Sir Bruce Keogh believed the strikes were unethical and threatened public trust in doctors. However, junior doctors have assured the public that anyone in need will still be able to receive emergency care, which will be administered by senior doctors. The BMA also made a last-minute offer to call off the strikes on the condition the government would resume talks on the new contract, but the government made it clear they would not budge on the issue of Saturday pay. The strikes took place against a background of legal inquisition and commons debate concerning the legitimacy of Jeremy Hunt’s power to impose the new contract. After raising £100,000 in four days, NHS staff group Just Health launched legal proceedings against Health Secretary Jeremy Hunt, and senior Conservative MP Sarah Wollaston broke the party line to attack Hunt for the misleading research propping up the case for a 7-day NHS. The strikers’ cause itself has been strengthened with the government admission earlier this month that the new contract will disproportionately affect female doctors and widen the gender pay gap. Our over dependence on a limited group of antibiotics is leading to a problem which could pose a greater mortality threat than cancer by 2050, chancellor George Osborne argued this month. This claim echoes the warnings of chief medical officer for England Dame Sally Davies, who predicts a massive uplift in common infection mortality rates as people become unable to fight off routine infections. Some have suggested that as many as 10 million people will die by 2050 as a result of drug-resistant infections, outstripping the mortality rate predicted for cancer by 1.8 million. The problem is rooted in antimicrobial resistance, where bacteria and microbes develop a tolerance to our limited set of existing antibiotics. It is feared that bacterial infections like tuberculosis and MRSA, as well as microbial infections like malaria and HIV, will become increasingly difficult to treat and will re-establish themselves as high profile killers. In the past ten years, our use of antibiotics has increased by 36% but no new drugs have been developed since the 1980s. Doctors are being urged to be more scrupulous when prescribing antibiotics, and many are calling for a re-evaluation of the farming industry, which accounts for 40% of the UK’s total usage of antibiotics. 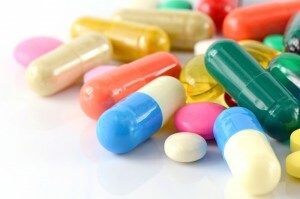 Read our article for a more in-depth look at antibiotic resistance. 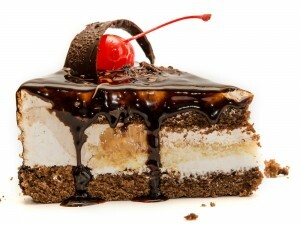 There are officially more obese people in the world than there are underweight, a study reveals, with 1 in 5 of the world’s population predicted to be obese by 2025. Researchers have concluded that their findings are demonstrative of a global ‘obesity epidemic’, with the number of obese people increasing dramatically from 105 million to 641 million over the past 40 years. It is estimated that Britain will have the highest number of obese women in Europe by 2025, along with an obese male population of 6.8 million. In light of this new data, the chances of meeting the WHO global obesity target are rather slim, although researchers are hopeful that their findings will encourage governments to take greater action to tackle obesity. This study coincided with the release of new WHO statistics on global diabetes as part of this year’s World Health Day (7th April). It announced that 442 million adults are currently living with diabetes across the world, with 3.7 million dying either directly as a result of it or diabetes-related conditions in 2012. Cancer Research UK have also released new research indicating that the rise in obesity is also increasing the incidence of womb cancer, accounting for a 54% rise in cases over the last 20 years. The future of the NHS has proved to be a key battleground in the debate over the UK’s withdrawal from the European Union, with both ‘remain’ and ‘leave’ campaigns arguing their brand of politics will favour UK healthcare. Vote Leave campaigners claim £700 million is lost each year as a result of other EU countries not reimbursing the UK for medical costs incurred by European citizens using NHS services. They also argue that ‘health tourism’ from EU nationals and immigration is costing the UK billions of pounds each year. These claims have been met with strong criticism from high profile figures across the political spectrum. Four former Labour health secretaries have branded the leave campaign’s arguments a ‘dangerous lie’, and Health Secretary Jeremy Hunt has warned that leaving the EU would negatively impact NHS funding. Other remain campaigners have drawn attention to the potential negative consequences on waiting times, levels of care and staffing that withdrawal could prompt. 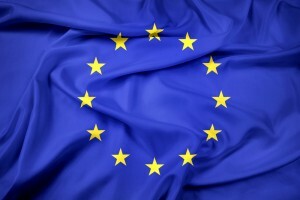 The referendum to decide the UK’s continued EU membership will be held on Thursday, 23rd June.